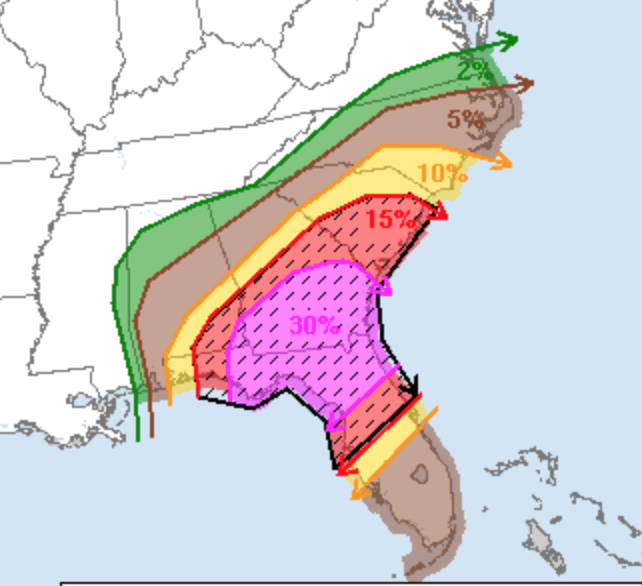 There is a high risk of tornadoes the rest of today and this evening in the Southeast. I wish I had been able to stay up longer last night as at least 11 fatalities occurred when the thunderstorms reintensified (see below). I wanted to save some time for today because it is going to be a terrible day meteorologically. You'll recall that brown (5%) is the significant threshold for tornadoes. Thirty percent is an extremely high number. The hatched area is where violent tornadoes are forecast. Put your car in the garage and bring in trampolines or anything that can be blown about. 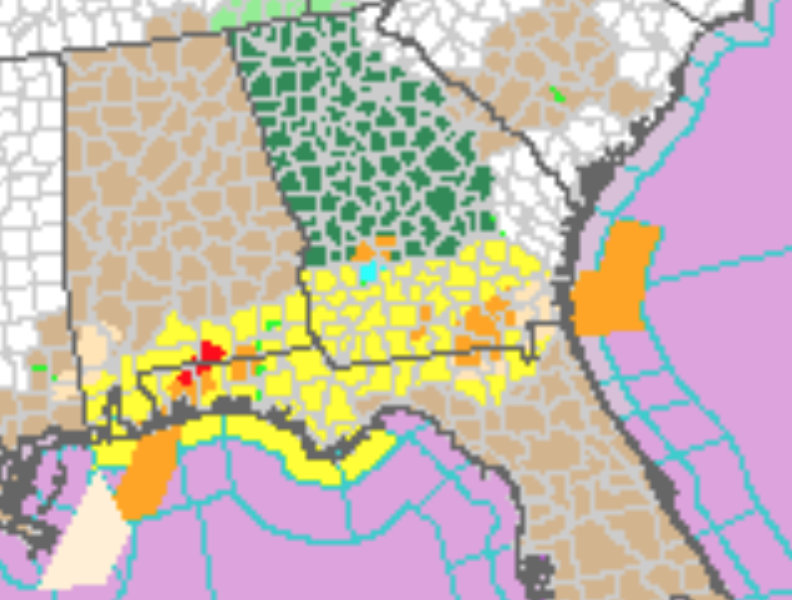 As of 11:21 EST, the yellow tinting is current tornado watches and red is current tornado warnings. Blue is flood warnings. 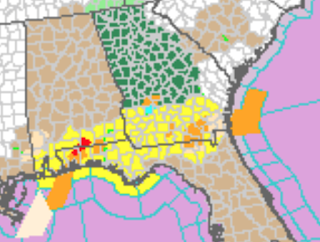 Yellow is severe thunderstorm warnings. Brown is high wind warnings.. I want to salute my colleagues at AccuWeather who have been informing our commercial clients of this danger since Monday. If you have a business that is directly or indirectly affected by weather, you need to check into AccuWeather Enterprise Solutions.